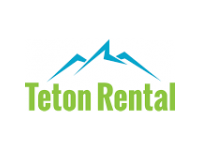 Teton Rental is your one-stop resource for party rentals, equipment rentals and equipment service. No party, construction or home project is too big or too small. We are ready serve and are excited for another busy and successful year. We offer a wide variety of items for rent at reasonable prices and we also work with our clients to help them plan and prepare their events. Planners~Family Owned for over 24 yrs.